More than just the place where much of the company’s hardware is built, China is the biggest market in the world, and it’s the third-largest market for Apple. 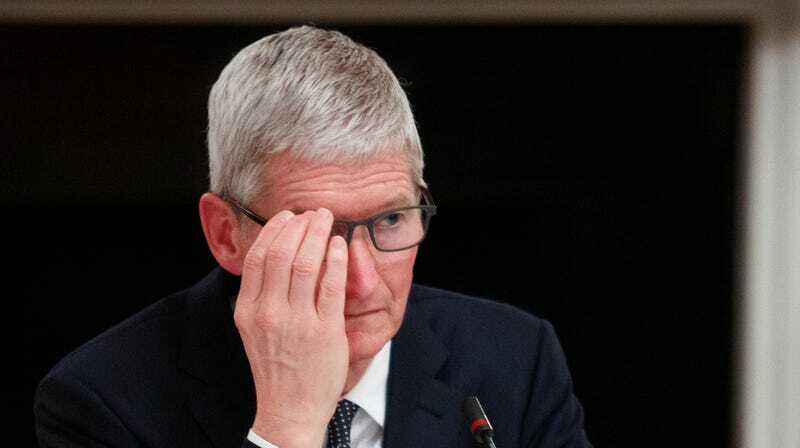 While other big American tech firms have limited their operations in China at least in part to avoid complying with the country’s strict censorship laws, Apple has fought to stay inside and has reaped the financial rewards. How does the Silicon Valley giant manage that? Chinese journalists and netizens recently found that Apple Music’s Chinese streaming service censored a song by Hong Kong singer Jacky Cheung that references the 1989 Tiananmen Square pro-democracy protests, an extremely politically sensitive topic for the Chinese Communist Party. The incident’s 30th anniversary is coming up in June. The Tiananmen protests are emblematic of a larger pro-democracy movement in China that was snuffed out by the Beijing government. Thousands of protesters were killed, but the exact numbers have themselves been censored by Chinese government officials. Apple Music has also reportedly censored Anthony Wong and Denise Ho, two pro-democracy singers. After being noticed by Chinese netizens, the removals were reported by the Hong Kong Free Press and The Stand, two Hong Kong-based news outlets. Taiwan News also reported the censorship of Cheung’s “Ren Jian Dao.” The music remains available on Apple Music’s North American products. “By removing a song referring the Tiananmen Massacre, @apple is actively participating in the Chinese Communist Party’s agenda of scrubbing the colossal violations it has committed against the Chinese people from collective memory and rewriting history,” tweeted Yaqiu Wang, a Chinese researcher with Human Rights Watch. The censorship comes as China convicted nine pro-democracy campaigners for their leadership of the 2014 Hong Kong pro-democracy protests on charges of being public nuisances, a move critics say will further harm free expression. Wong, another Hong Kong-based singer, has similarly been in trouble with Chinese censors since joining the iconic 2014 protests. Apple didn’t respond to a request for comment or transparency about the removals.